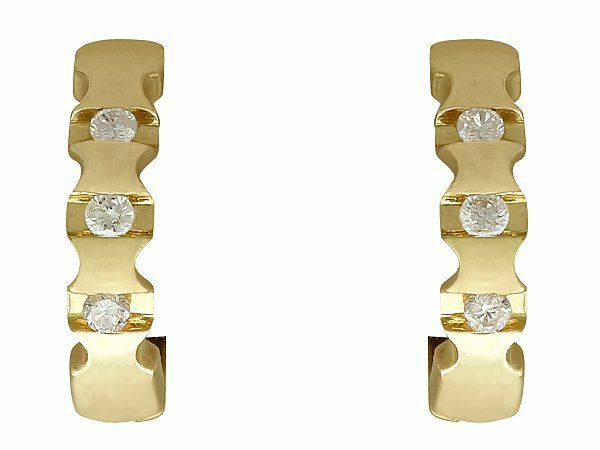 These fine and impressive vintage diamond earrings have been crafted in 18ct yellow gold. 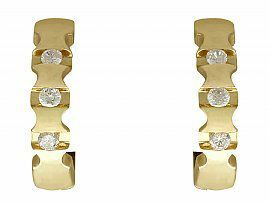 Each hinged hoop earring is ornamented with three tension set modern brilliant round cut diamonds to the anterior face. 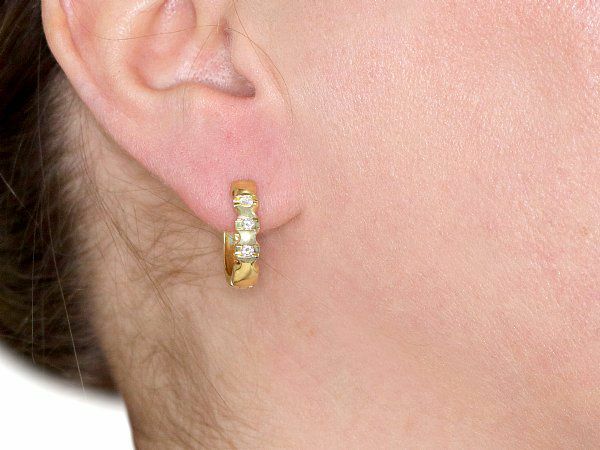 The posterior portion of each hoop earring is plain and unembellished. 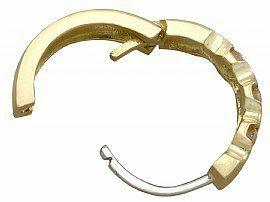 The earrings secure with a post and hinge back fastening, and are hallmarked to the interior with the 18ct gold fineness marks (750 18K). 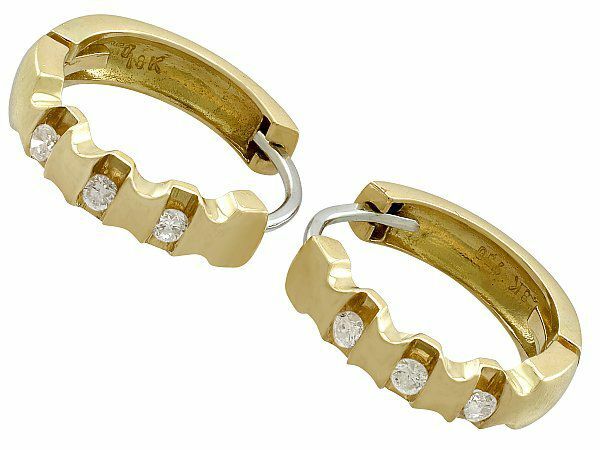 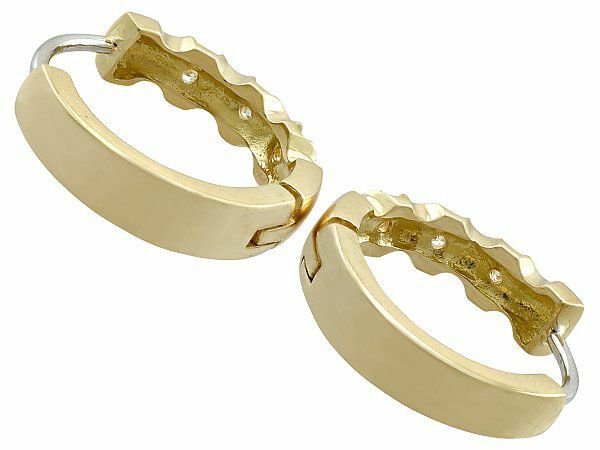 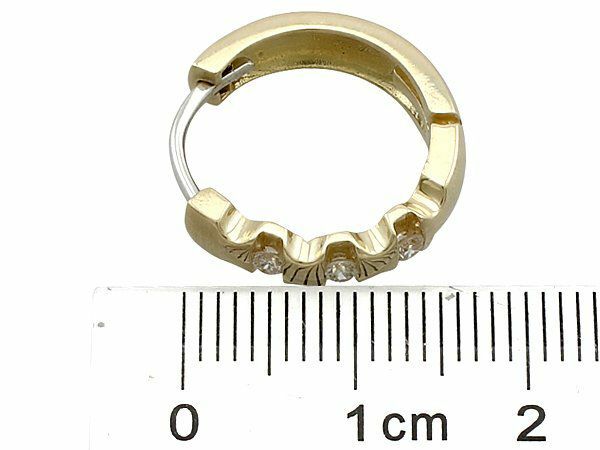 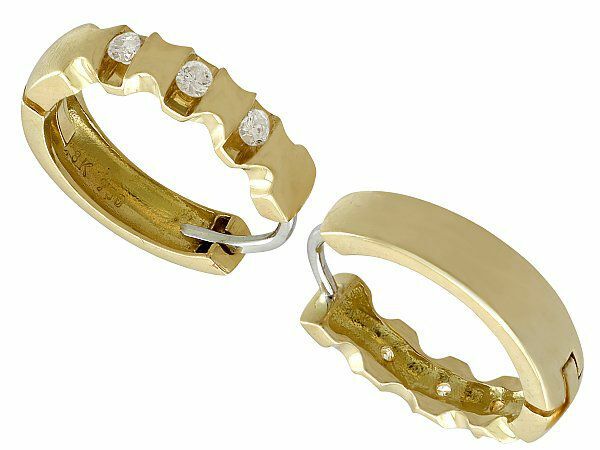 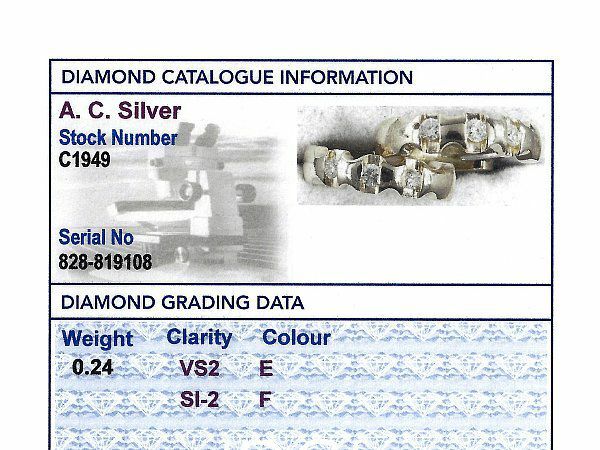 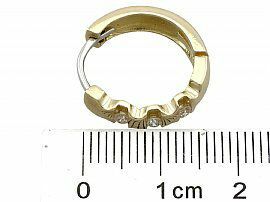 These impressive vintage gold and diamond hoop earrings are supplied with an independent diamond grading report card. These vintage hoop earrings are fine quality set with very high colour graded diamonds, displaying a fine white colour and brilliance. 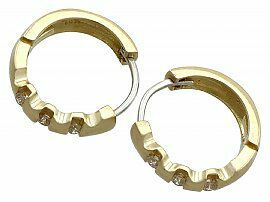 The earrings are a very good gauge of gold and are in excellent condition with clear hallmarks to the interior of the settings.